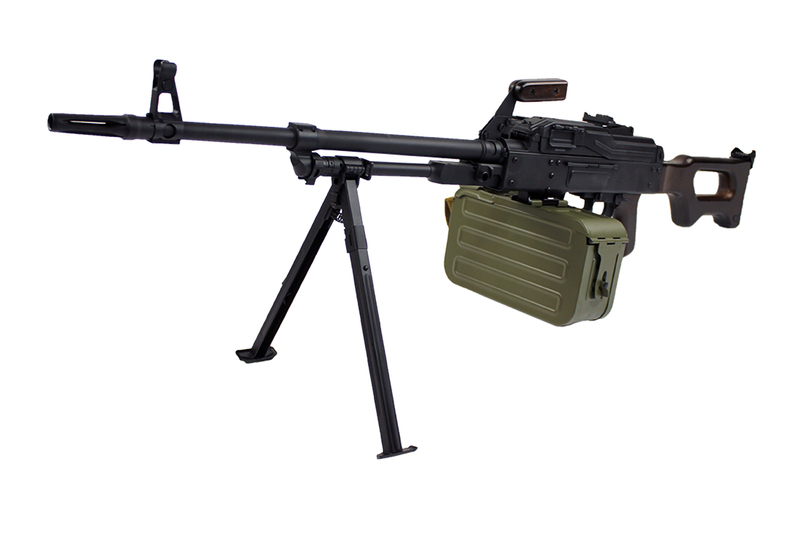 The PKM is the modernized, improved version that was adopted into service in 1969 and is still in use today worldwide. 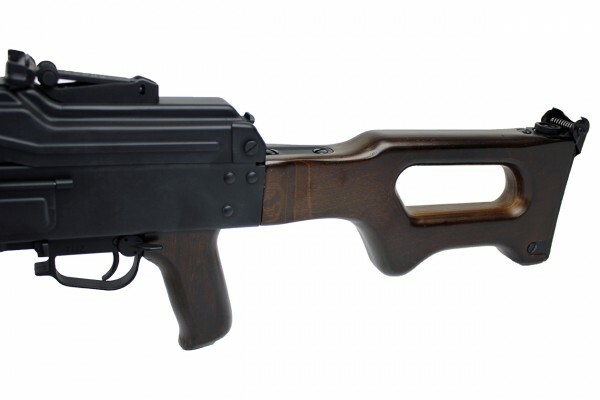 The PK variant is one of the most used SAW machine guns in the world, with over a million units produced. 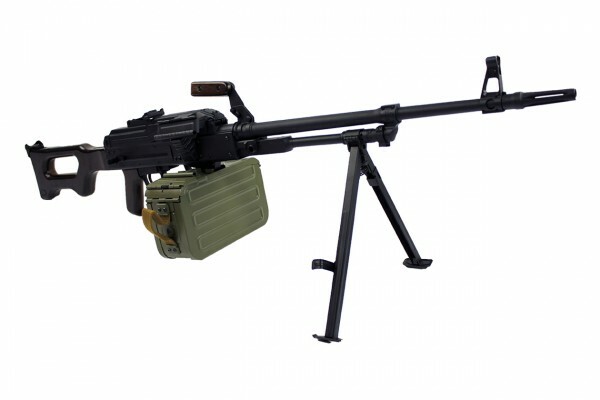 It is extremely rare to find Russian style machine guns in the Airsoft world, especially one as high quality as the PKM. This gun features a stamped steel receiver, full metal barrel assembly, and high quality polymer stock (like the real thing). This is by far the best reproduction of the PKM Machine Gun to date!